This class 2A patient sought out our clinic after having four strip procedures (FUT) performed by two popular strip clinics. He then came to Dr. Cole in the summer of '06. This patient’s actual goal was to have the temples strengthened and to soften the frontal hairline. The major hairline problem was that it was too abrupt with multiple-hair grafts (3’s, 4’s, etc) at this leading edge, and it was far too dense. His temple points had a vertically oriented angle rather than a more acute one, and they too were overly dense. The overall plan and design was rather poorly conceived, which negatively affected the aesthetic outcome. 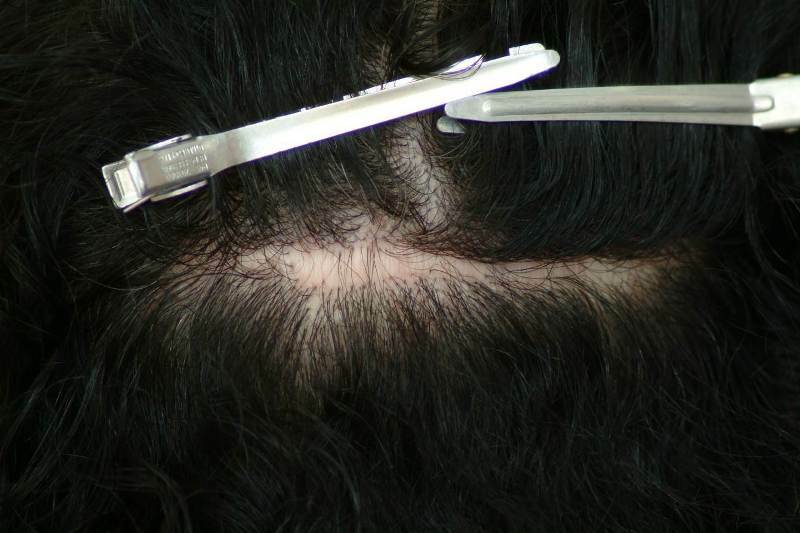 As can be plainly seen, the patient’s previous treatments involved the placement of large, coarse hairs along the entire frontal hairline. In the donor area, the patient was left with a strip scar as wide as 5mm, which is quite obvious to the naked eye. Many patients are told that trichophytic closures will result in pencil thin or invisible scars. This simply is not the case as you can see in this patient. Luckily, using CIT Dr. Cole has the ability to selectively extract fine hair grafts that are fully intact; this selectivity is not possible with strip surgery. Dr. Cole’s treatment plan for the patient was to rebuild the entire frontal hair line and peaks with finer hairs harvested via CIT. 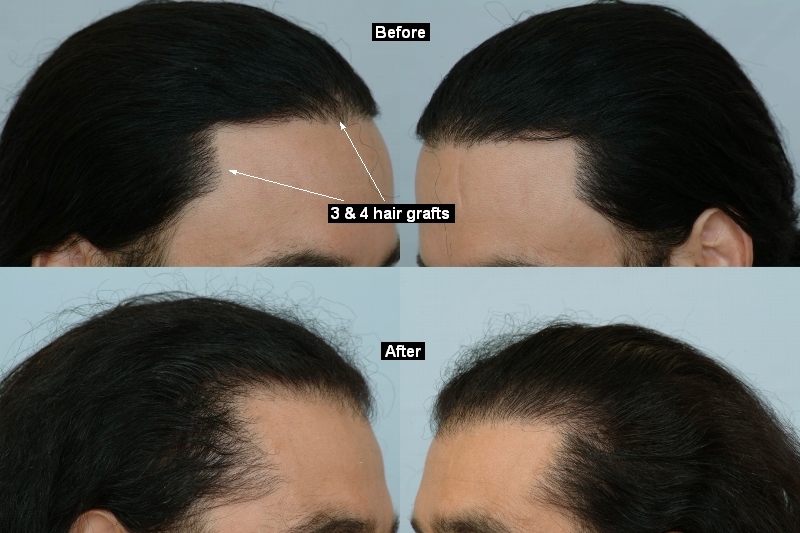 The patient received a total of 1800 grafts over 2 sessions to soften the hair line, extend the frontal peaks, and create a natural looking widow’s peak. At 1 year after the last procedure, the patient’s hair line is most appealing and much more natural after CIT repair. The patient is very excited about the new natural looking growth and the boost of confidence. Below are the photos that depict the turn-around repair results at 12 months after the last treatment. Oh my goodness, what a change from the bulkness on the hair line. More that good result! » » Dr. Cole in the summer of '06. » » the case as you can see in this patient. » » entire frontal hair line and peaks with finer hairs harvested via CIT. » » months after the last treatment. Oww. Yeah, that’s an improvement people. It’s scary that a majorly marketed strip clinic did this. 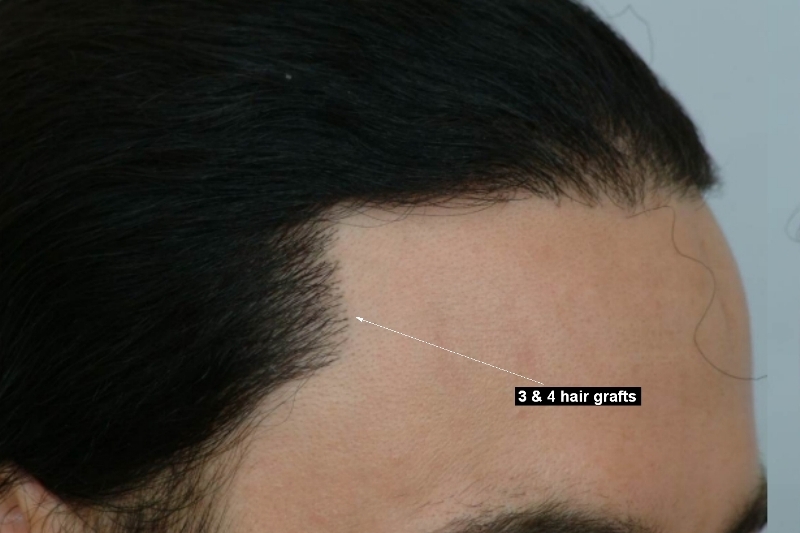 The photos are very good and consistent and it shows exactly how dense some clinics go on the hair lines.